Audi never had any issues with ride and handling. With the new platform of the 2017 Audi A4, things have enhanced further. 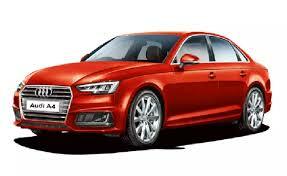 The ride of the 2017 Audi A4 hasn’t changed much, it is still somewhat similar. Due to longer wheelbase, the suspension has been softened. The handling of the 2017 Audi A4 is crisp. The steering wheel doesn’t feel slack at any point and has good feedback. The alacrity of the chassis is at par with the other new Audis. The A4 is designed to offer more comfort that outright handling finesse. However,it balances both these aspects well. Braking is right up there too. What impressed us most was the hight speed stability. The car feels relaxed even at 150km/h and keeping one oblivious of the speed outside.